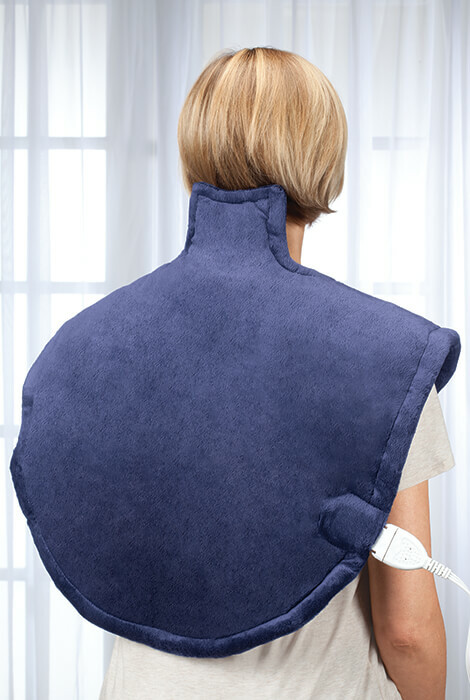 Plush heating pad wrap for shoulders, neck & back goes to great lengths to soothe sore muscles. 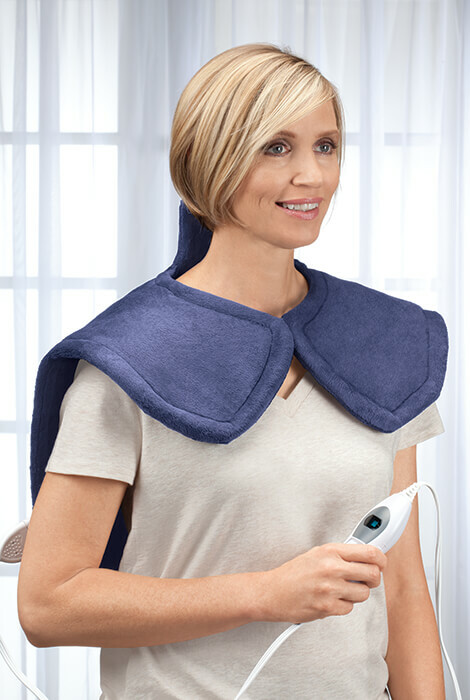 Generously sized, extra-long pain relief wrap with weighted trim and neck snap stays in place on your shoulders, neck, and back. As you relax in warm comfort, its heat therapy targets pain and stiffness. Use the easy slide controller with digital display to choose from 3 temperature settings, along with auto shut-off for added safety if you fall asleep. Soft, micro-plush fabric cover is machine washable. 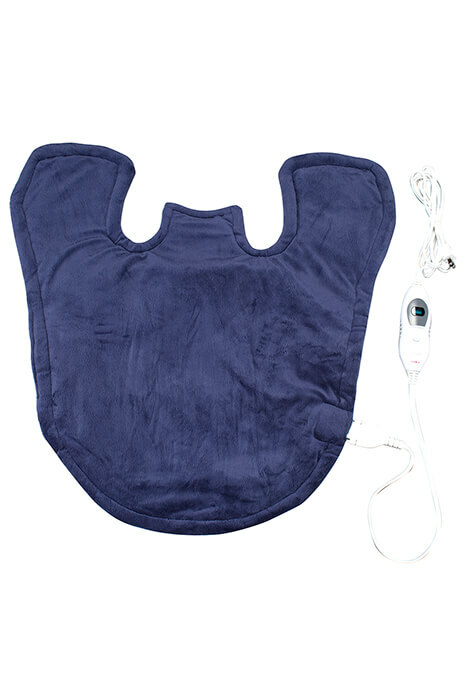 25” x 26” shoulder heating pad includes 10’ power cord and English/Spanish instructions. Includes weighted trim and neck snap. Easy slide controller with digital display. Auto shut-off for added safety.